DD Sharma recommended BEPL on 21st February 2017 when it was languishing at Rs. 24. He explained that there are only two companies in India which manufacture ‘ABS Polymer’. One is a MNC called INEOS Styrolution and the other is BEPL. He pointed out that ABS Polymer has wide application in a variety of industries and that the demand is growing at 10% CAGR. He also noted that the aggressive demand for the product has prompted BEPL to increase its manufacturing capacity from 50,000 MT to 80,000 MT and is intending to increase upto 1,20,000 MT by FY19. DD Sharma also reeled out impressive facts relating to the financial status of BEPL and emphasized that the stock is a must buy because the product is a niche one, there is increasing demand and limited competition. We should have obediently listened to DD Sharma and bought truckloads of BEPL because the stock is now flying like a rocket. The stock has given a mind-boggling gain of 176% since DD Sharma’s recommendation, just four months ago. 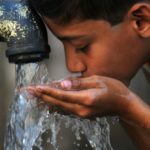 Are more gains due from BEPL? Prima facie, it appears that BEPL has more steam in it. PL has issued a ‘management meeting update’ report in which it has explained the future prospects of BEPL and assured that it is a good bet for the future. “BEPL has a plant in Satnoor and Abu Road each. Recently it completed expansion from 51,000 MTPA to 80,000 MTPA. In its next phase of expansion this will increase to 137,000 MTPA by mid FY18E. ETIG has explained that the ABS business involves chemical complexity and is capital intensive and deters competitors from barging in and sharing the loot. This implies that BEPL will enjoy the duopoly status for a long time. Aggressive buying by promoter Jayesh B. Bhansali is sending a message? Jayesh B. Bhansali and the other promoters of BEPL are frequent visitors to Dalal Street. On each visit, the promoters take home a massive chunk of the stock. The aggressive buying action is sending the clear message that the stock is still undervalued in relation to its potential. Ginni Filaments is yet another shining example of DD Sharma’s awesome sense of timing. We saw a few days how Ginni Filaments caught Porinju Veliyath’s eye and is now surging like a rocket. DD Sharma assured a target price of Rs. 70 for Ginni Filaments which is now within touching distance. No doubt, he will increase the target price given that the Company is on the proper track. DD Sharma has now homed in on Kridhan Infra, a little known micro-cap with a market capitalisation of Rs. 524 crore. He opined that Kridhan Infra is well poised to take advantage of the great infra boom that will happen in India over the next few years. He pointed out that the unique aspect of Kridhan Infra is that it is a specialist in foundation work and tunneling and holds a couple of patents in the field. In fact, such is the level of specialization of Kridhan Infra in tunneling and piling work that it has licensed the technology to HCC, L&T and Metro Rail contractors, he said. The acquisition by Kridhan Infra of a Singapore company called ‘Swee Hong Ltd’ augers well because it adds the specialty to bid for EPC contracts, DD Sharma opined. As usual, DD Sharma reeled out impressive figures relating to the EPS and P/E and assured that the stock is destined to become a multibagger in the foreseeable future. DD Sharma’s theory with regard to Kridhan Infra is supported by a research report issued by Padmaja Ambekar of BOB Capital. Kridhan Infra through its Singapore subsidiary KH Foges Pte has acquired a majority stake of 56% in Swee Hong Ltd., a Singapore leading public listed EPC company. Swee Hong’s order book as on 31st March 2017 is $80.9mn (SGD to INR: 46.41). Its revenues grew by ~76% YoY which shows financial turnaround and we believe it would significantly drive new order inflows in the next couple of quarters. Kridhan would see an upsurge in order book due to higher inflows from overseas and better bidding capacity due to acquisition. We believe, its revenues would grow at a CAGR of ~35% over FY17p-FY19e due to a full year consolidation of Swee Hong accounts, new projects in Singapore & India EPC business, steady growth in Singapore foundation engineering business. 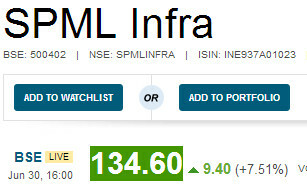 If you are scouting for an infra stock, you can also consider SPML Infra. The stock comes highly recommended by Mudar Patherya on the basis that it is an “inflection point” and well poised to take advantage of the infra boom. It is rare to find a micro-cap stock as part of a blue-chip large cap behemoth. Yet, Aditya Birla Money Ltd, the micro-cap subsidiary of the Aditya Birla group, was staring at us in the face all the time and we paid no attention to it. 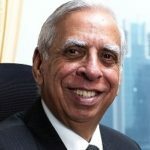 DD Sharma has pointed out that the unique aspect about Aditya Birla Money Ltd is that Aditya Birla Capital (earlier known as Aditya Birla Financial Services Limited), the promoter, has a stranglehold over 75% of the equity. Of the balance 25%, a worthy named Sucharitha P Reddy (boss woman of the Apollo Hospitals group) has cornered 10% of the equity. Also, the equity share capital is a tiny Rs. 5.54 crore. This means that there is nothing left for Mom and Pop investors to buy and there is tremendous scarcity premium. DD Sharma emphasized that if we ever do manage to get our hands on AB Money Ltd, we should lock it up and leave it for our great grandchildren without thinking about petty multibagger gains. What about the listing of Aditya Birla Capital, parent Co of AB Money? At this stage, we have to note that Grasim Industries, the flagship of the Aditya Birla group, has announced a complex scheme of merger and demerger. The essence of the scheme, insofar as we are concerned, is that Aditya Birla Capital (formerly Aditya Birla Financial Services), which is presently a subsidiary of Aditya Birla Nuvo (ABNL), will be demerged and listed as a separate entity. It is notable that big-ticket investors have already cornered big chunks of Aditya Birla Capital. Billionaire Azim Premji is leading from the front. Premji Invest, his investment arm, has scooped up a massive chunk of 2.2% stake worth Rs 700-crore in ABCL at a valuation of Rs 32,000 crore. The record date for the demerger is 20th July 2017. It goes without saying that all novice investors will have to march to Dalal Street on the day of listing of Aditya Birla Capital and aggressively corner all the stocks that we can. We will be pitted against deep-pocketed and big-ticket investors but will have to do the best that we can in the circumstances. 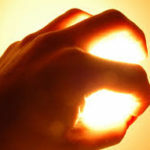 After all, who would not want to be part of the financial arm of the glorious Aditya Birla group! Credibility of DD Sharma is high. He recommended AB Money around 66 and immediately it was up by 10%. It appears the target of 99 would be touched much earlier. I totally agree he is among best fundamental analyst .Most of his recommendation works and small investers can learn lot from him. 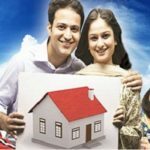 All these recommendations we come to know after they have gone double…..let’s find some one who provides real gems at right times….I know one or two….if interested pls call me at 9039981482. Does DD Sharma offer any PMS or paid advisory services? Please let me know. I am also trying to locate Ashish Chugh’s services/offerings. Not able to locate the info. Thanks for considering this request. Venkat. Ashish Chugh’s service is known as hidden gems. Pls help by providing contact details of Mr DD Sharma or his consultancy services…..he can be good fortune maker if we get advice on time….. I also want to avail paid services of Mr DD Sharma. Please share his contacts/website. Reddy’s sold Apollo Sindhoori Investments to Birla and thus they have 10% stake…. i regularly follow your show on cnbc awaz. your recommendations are wealth creator and very informative .i want to be member to avail your valuable service. I have been following DD Sharma’s value picks and investing in some of the stock. Few names are Kriden Infra, GNFC, Ginni Filaments…. 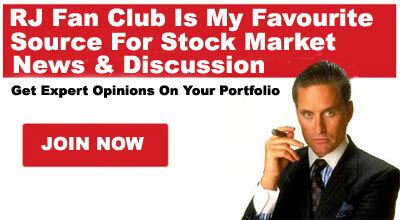 His advise is really helpful for small investors. Thanks to the Expert for making us Rich!! What is future prospectus of Ginni Filament and AB MOney now? 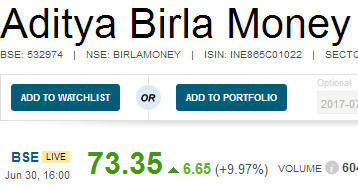 I BOUGHT ADITIYA BIRLA MONEY 100 SHARES 100/- BUT IT GO DOWN TO 75-80. Good to see that many people are likely to get multibaggers like me. You may get mega multibaggers from here, which may give 2-5 times. In 2 months to 2 years. Plz consult only investors not traders. You can drop your contact number in reply.